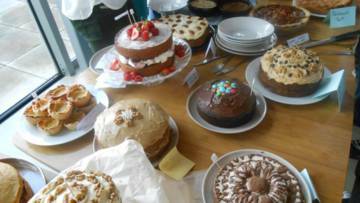 Hold a CAFOD cake sale! This list of easy fundraising ideas includes our favourite ways to raise money for charity and can be adapted to use at schools, parishes and work with teenagers, students, friends, family and colleagues! Easter Feast – after fasting comes feasting - celebrate with what you gave up during Lent! One for the New Year! Organise an aerobics-athon to kick-start that resolution to be healthy and feel good about supporting CAFOD. Put your creative talents into action and sell your decorated biscuits, knits and jams at a fair or car boot sale. Organise your own fundraising auction. Hold a 'helpful elves' auction and let people bid to get a helping hand for the day, or donate a percentage of the funds raised from selling anything unwanted through a CAFOD EBay auction? 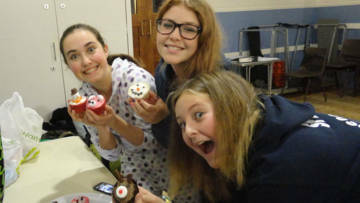 Girls at St Erconwald's Church, Walton-On-Thames at their bake sale. How will you raise money to support CAFOD's work? One of our most popular fundraising event ideas! Download our Cake sale toolkit to get yourself started! Hold a cake competition and get your friends and colleagues to bake too - then get your friends, colleagues, parish or group to bake cakes, biscuits and pies. Sell what's left after the judges have done their tasting and you could even auction the winning entries! Search online for fun bingo squares and organise a bingo fundraising event! Charge a fee per game. Sell donated goods or World Gifts on a stall. Get in touch on 0303 303 3030 to order your World Gifts shop in a box, or sell cakes, home-made biscuits or Fairtrade goodies. We would love to hear from you about your fundraising - especially if you have any unusual fundraising ideas to add to this list! Send your photos and ideas to us at events@cafod.org.uk or tag us @CAFOD on social media so that we can share what you've been up to! A candlelight fund is a special, dedicated fund to remember a loved one who has passed away. Just as we light a candle to reflect on their memory, our Candlelight Funds celebrate the life and the memories that are left behind. Use our Curry night toolkit to spice things up at this fundraising event! . Organise your own fundraising event using our How to Guide and toolkits! Take homemade or shop-bought cupcakes from desk to desk in your office, run a Strictly come dancing or X-factor sweepstake, or use your computer to set up a JustGiving page! Time to put your best foot forward! 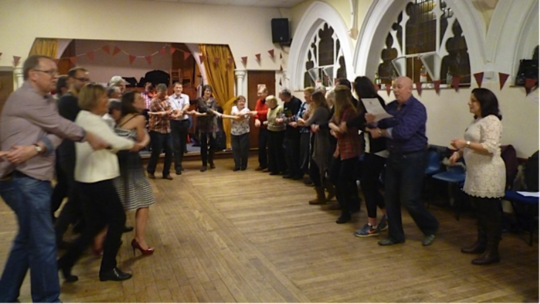 Why not organise a barn dance, get someone up to call and demonstrate the moves, ask everyone to bring a cowboy hat and get your groove on. Remember to charge for entry and maybe set up a raffle too. Celebrate your successful abstinence during Lent with an Easter feast! Lay on chocolates, biscuits, cheese, coffee – whatever you and your friends gave up. Ask for one last Lent donation as you all break your fast. Give up plastic and donate what you save (5p per plastic bag at least! ), scrap your car and have the proceeds donated to CAFOD or change your home energy supply to ecotricity and get £40 donated to CAFOD. Or brie, cheddar, gorgonzola... Match your favourite cheese with your favourite wines (apple juice for under 18s) and charge your guests by the glass, plate or cracker. Is your birthday coming up? Do you have a Facebook account? Instead of getting presents this year, why not ask for donations to CAFOD? It's simple and easy to set up, why not set up an event for your birthday while you're there too? Put your artistic talents to good use and paint people’s faces. Remember to charge for your works of face painting art. 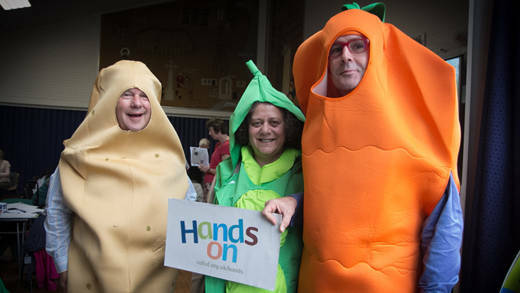 CAFOD volunteers in Westminster celebrate Hands On at Harvest by dressing up as vegetables! Have a theme for your dressing up day- everyone can make a donation to come to school or work as a superhero, a character beginning with a certain letter of the alphabet, or even animals! Sign up for Amazon smile, Give as you live or Savoo and you can give a donation to CAFOD every time you shop! Channel Christmas day memories and have a marathon board game tournament! 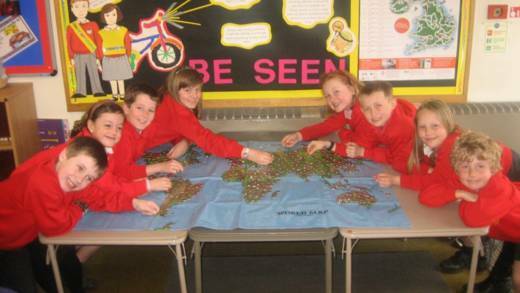 Or, how about setting up a games station at your school, parish or work? Either pay to play or get sponsored. Have a cake sale with a difference and make a gingerbread house to sell off in sections. If you'd prefer to skip the baking, buy a kit from the supermarket and just decorate it! Get sponsored to go without something. Give up speaking for a day, computer games for a week, chocolate for a fortnight, or give up magazines for the whole of 2018! Donate the money you save, set up a sponsorship page for CAFOD on JustGiving or download a sponsorship form. Buy this World Gift for a loved one and help mums and babies get the best start in life. Raise the money by saving £1 each day during January, selling homemade cupcakes at school or making fancy coffees at work. Be the washing up or laundry 'fairy' for your friends and family. All for a donation of course! How many times can you spin the hula hoop? Organise a hula hoopathon- a fantastic fundraiser all year round! Don’t forget to get sponsored by the spin, or the length of time you keep the hoop going. I don't know what to choose! 26+ ideas is a lot, but we've made it easy for you. Take our fundraising quiz and we'll give you a personalised suggestion and advice on what to do next! Hold a themed international night and decorate your hall with flags from across the globe for an interesting fundraising event. Search for recipes from around the world and charge an entry fee. Why not also hold a fundraising quiz and test your friends’ geographical knowledge? Put your creative jewellery making skills to good use and sell your creations as perfect presents! Have your friends in stitches with a joke-athon. How long can you keep your friends laughing? If the jokes are really bad, make them pay a fee to leave. One girl's old party dress is another's treasure! Hold a swishing party or an old-fashioned jumble sale so that everyone can find a new outfit. All profits to CAFOD please! Impress your friends with your singing ability – try out your favourite tunes, rock songs and ballads. Pay per song. Craft some cosy items to sell at fairs or jumble sales - perfect for the colder weather. You could even challenge your friends to a competitive knit-off! Not all fundraising ideas need lots of planning- try an impromptu coffee morning with shop-bought biscuits, or collecting sponsorship for a spontaneous challenge! Let friends, family or colleagues pick your challenge for you! Gather together all the Lego people got for Christmas and challenge your friends and family to get creative! Who can make the most recognisable landmark, or biggest building? Pay to take part! Take on a challenge this Lent and get sponsored for CAFOD along the way! You could do anything from living on £1 a day, to taking the plunge with a series of open-water swims! A simple fundraiser that everyone can join in with - bring in a coin for each day of the month and see how long you can make your coin collection before you donate it. Remember you can also donate foreign coins to CAFOD. Like Blessed Mary, Afera humbly shares God’s gifts with others. Team up with friends and colleagues for this World Gift. Five gifts in one for a poor family, you can sell milkshakes, ice-cream or even hold a cheese and wine evening to raise funds! Don't forget to buy your cow with the profits. Charge your mates to come up with the most interesting suggestion for a cuddly toy. You could raffle the teddy at the end too. Need a new outfit on a budget? Only worn something once? Why not sell or swap your unwanted things with your friends? Pay £2 for each item you take. Challenge your friends, teachers or parish to a netball tournament. To add to the fun, why not play your matches in fancy dress too? Nominate a teacher – to have their legs, beard or head shaved. Challenge a teacher or youth leader to have a shave or wax for a good cause. Remember that they should get sponsored for CAFOD too, or charge people a fee to watch it happen. Swap your old dresses and tops with your friends at a swishing party and get a whole new outfit for an Easter party! Ask everyone to bring something they don't wear anymore and pay £2 for each garment you take away. Charge a fee for all those odd jobs around the house that need doing in the new year. You could offer to spring clean, babysit children or cook! Orange you going to fundraise for CAFOD? Whip up some orange flavoured treats in the kitchen, provide half time oranges at a football match or sell juice to your co-workers for breakfast - get inspired to do some fruit-based fundraising! Hold a pancake breakfast before a big day out. You could even add on a pancake race for fun- make sure you remember to collect those donations to CAFOD as well! Show off your skills in a sponsored shoot out as part of a football fundraiser. Put the goalie in fancy dress to make their job harder! Having access to clean sanitary products keeps women healthy in times of emergency and in refugee camps. 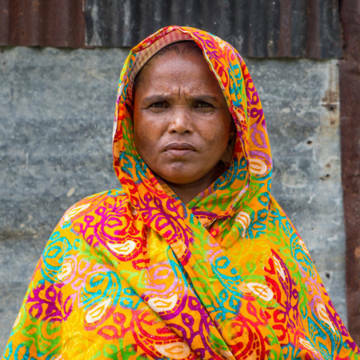 Give a refugee woman her dignity with this perfect and practical present from World Gifts! Alternatively, go the whole hog and buy this perfect pig for a foodie! This unusual gift will really help a poor family bring home. Make your teacher or parents happy by remaining quiet for a few hours, or even a whole day, with this popular fundraising activity. Remember to get sponsored too! Download your sponsorship form. Download the CAFOD fundraising quiz pack or create your own quiz to test your friends’ knowledge. Hold a parish quiz night and raise money for us by charging per entrant. Get friends and family or local businesses to donate prizes towards hampers and then raffle them off to raise funds. Great on its own but this also works well as an extra idea at any fundraising event. Or you can get involved with CAFOD's raffle. You can have a swishing party, recycle spent ink cartridges, mobile phones, foreign coins or even donate your car to CAFOD! Turn your trash into cash. Print off a Six Nations poster and set up a sweepstake for the winning country team or top try scorer! Split the winnings between the victor and CAFOD. Donate the money you save from giving up caffeine, sweets or booze for Lent to CAFOD! You could even ask for sponsorship to keep you away from your bad habits - set up a sponsorship page on JustGiving or download your CAFOD sponsorship form. Unwanted Christmas gifts? Auction them on eBay and a percentage of the sale price can come to CAFOD! Get some welsh cakes, some daffodils, and get someone dressed up as a big, red, Welsh dragon to hold a great St David's day fundraiser. Now seems as good a time as ever to get out some face paint, why not charge £1 for painting a little English flag on everyone's face? Sell Irish coffees, Guiness cake, green tea and anything else you can think of for a perfect St Paddy's day fundraiser! Set up a stall at a carboot sale - you can sell upcycled crafts, homemade or even World Gifts! Swim the distance for CAFOD. Get sponsored per length… or per mile! You could even go for an open water challenge. Download your CAFOD sponsorship form. If you drive, provide a taxi service for your friends so that they don't have to worry about their trip home after the pub. The meter money and any tips(!) can be donated to CAFOD. Get inspired by the difference our bestselling World Gift goat can make. Fundraise towards a herd of these amazing animals at work, school or in your parish by getting sponsored, organising a collection or selling cakes! Create a treasure hunt, with clues and challenges and see which of your friends can find the treasure horde of chocolate treats. Make an Easter egg hunt even more fun with themed clues and charge per entrant or team. Order your eggs from World Gifts. Ditch the uniform in favour of your own clothes. You could rock a terrible t-shirt, your Dad's coat or your Mum's scarf. Just remember to set up your Justgiving page for sponsorship. We all receive Christmas gifts that don't quite hit the mark. 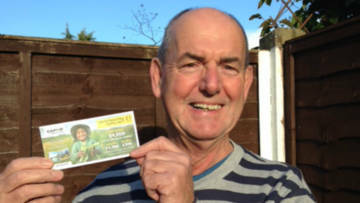 Sell yours on eBay and share the profits with CAFOD! Create sock puppets, craft keyholders or cook candles! Go online for inspiration, get crafty and sell your creations for CAFOD. The simplest fundraising idea has to be a non-uniform or dress down day. Ask everyone to pay £1 to dress as a character from TV, literature or history instead of their usual clothes. The perfect, easy fundraising event for work, school or church. Our top fundraising idea is a cake sale. It's a popular fundraising idea for a reason! 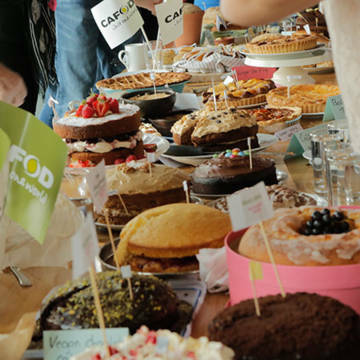 Use our Cake sale toolkit and whether you bake yourself or pick up something delicious from the shop, selling cakes is a great way to raise funds for CAFOD. Put your shot put skills to the test and see how far those wellies will go. Charge for entry and split the funds between the winning welly wanger and CAFOD! Ask everyone to bring a bottle and provide the biggest variety of cheese you can. Charge your guests per plate or per cracker! Apple juice only for under 18s please. 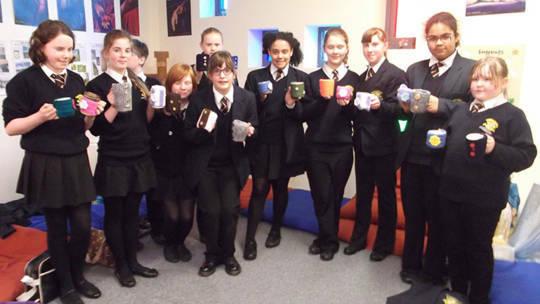 Raise funds with your school, parish or friends and family to buy a big World Gift together and make a big difference to a poor family this Christmas. What's that? Even bigger World Gift - fundraising! Can you do it? Your parish can make a massive difference to a community overseas this year by fundraising towards a big World Gift. 1) Choose a gift as a fundraising target - you could bring clean water to a community, reach out to families with a mobile medical team or save an area of the Brazilian rainforest! 2) Fundraise through the year using our fundraising ideas and resources. 3) Buy your gift and receive your gift card and a poster to share with your parish! See what other ways your parish can get involved with fun fundraising ideas. Other games consoles are available and you can use any of them to host a fundraising night in for CAFOD. Provide the snacks and drinks and let your family and friends battle to win the games you've chosen! The simplest fundraising idea has to be a non-uniform or dress down day. Everyone pays £1 to dress as a film or cartoon character. Set yourself a challenge for CAFOD and stay positive that you can achieve it! Why not target funding a Marvellous moo cow or a Medical outreach team and fundraise towards them? You could try a different fundraising idea each week. It’s much appreciated, and makes such a difference towards helping creating a world without poverty and injustice. You can find more help and advice in our How to fundraise guide and on our health and safety pages. We've got some great guides to help make your fundraising fun and stress-free.